JB Hunt Intermodal in Harrisburg augmented their existing safety systems with Fatigue Meter to help manage driver fatigue risk. One year later, the operation is seeing marked improvements in safety indicators and reduced operational costs. JB Hunt already had routine safety assessments for their drivers, however, the company was interested in adding a simple and effective monitoring system specifically for fatigue risk management. It was important to find a solution that didn't require additional hardware or wearables. 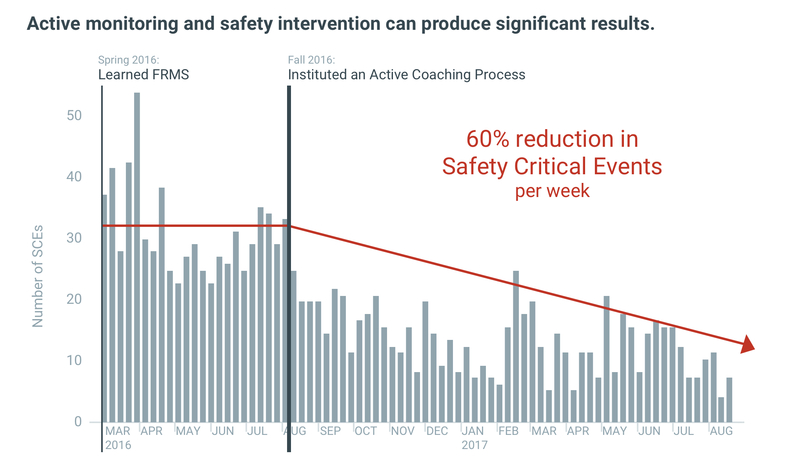 Additionally, safety managers wanted to establish a way to measure safety improvements in fatigue-related incidents. As with any company-wide safety initiative, the primary goal is to create and maintain a safe and healthful working environment for all employees. As a bonus, safe CMV operations are also less costly. JB Hunt already had routine safety assessments for their drivers, however, the company was interested in adding a simple and effective monitoring system specifically for fatigue risk management. In March of 2016, the Harrisburg division implemented Fatigue Meter™, a technology system created by Pulsar Informatics that uses proprietary analytics to predict driver fatigue levels using only HOS logs. Drawing HOS data automatically from the ELD system, Fatigue Meter performs a two-step computational process. First, the system estimates each driver’s sleep pattern based on actual duty periods. Then, it uses the sleep estimate to predict fatigue using a state-of-the-art biomathematical model originally developed for NASA and the US military. With fatigue scores updating every 15 minutes, fleet managers have a continuous, near real-time fatigue assessment of every driver in their fleet throughout the 24/7 operation. Fleet managers can also opt for a more hands-off monitoring approach and get an email alert when a driver reaches a high fatigue risk status. 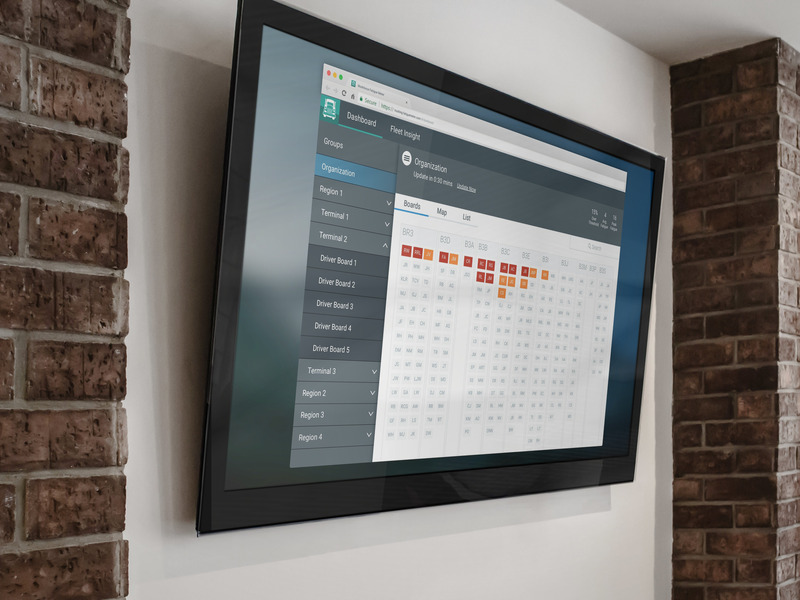 Clicking on the alert, the fleet manager is able to get a better understanding of what might be causing fatigue by viewing the driver’s sleep and fatigue estimates alongside their hours of service and safety critical event data. Having this information available at his or her fingertips, the fleet manager can coach the driver and help assess the situation before it becomes a safety incident. After this discussion, the driver’s logs demonstrated several habit changes that greatly impacted his fatigue levels. The driver started to use his sleeper berth to take power naps during night shifts, and rather than driving the extra distance to get home after a long shift he would sleep in his truck on occasion to get more sleep. His logs also showed more frequent breaks throughout his shift. Instead of driving four hours straight like he normally would, he pulled over every couple of hours for about 5-10 minutes, likely to stretch and get some fresh air. By adding these simple mitigation strategies to his daily routine, this driver has achieved a track record of driving a full year without experiencing another safety critical event. Having seen the positive benefits of talking about fatigue when coaching the drivers, Tedd Pounds put a designated safety manager in charge of the system and gained support from management to expand the use of the tool to the entirety of his Harrisburg operation including the Chambersburg and Baltimore terminals. “The process we use here in Harrisburg, is that whenever there is a critical event or a fatigue alert, our fleet managers reach out to the driver to find out what is going on. By having the insight into fatigue, it helps our fleet managers talk to the drivers about sleep habits and fatigue more specifically,” said Tedd. In total, about 300 drivers were monitored each month. Over the course of a year, Fatigue Meter has helped the Harrisburg fleet reduce the number of safety critical events per week by 60%! In addition, two other metrics provided insight into the impacts of this enhanced safety approach. When a driver calls the fleet manager and to say that he or she is fatigued, the carrier sends another set of drivers to relieve the tired driver of duty. Such “rescue missions” are very costly. 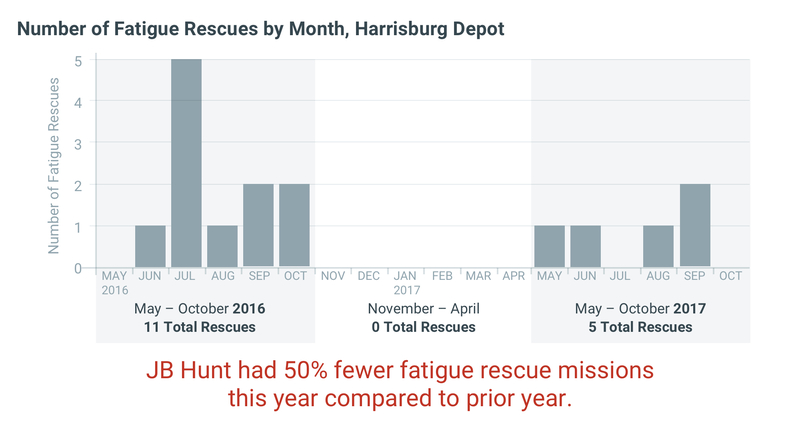 After implementing Fatigue Meter to raise awareness of fatigue issues with the drivers, the number of fatigue related rescue missions at JB Hunt’s Harrisburg depot has been reduced by more than 50% compared to the prior year. 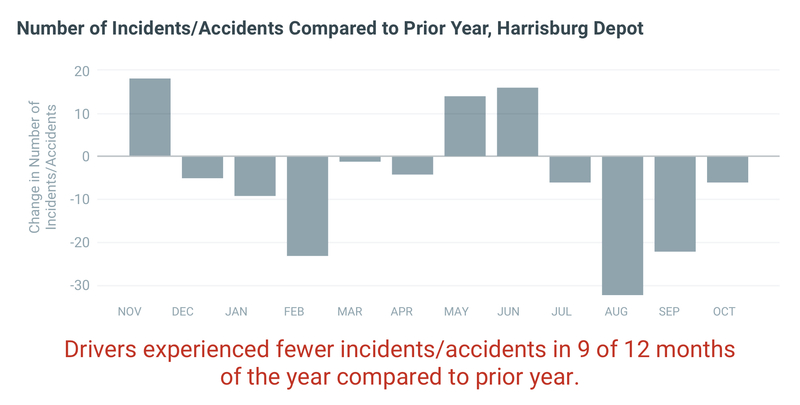 By augmenting their existing safety procedures with Fatigue Meter, JB Hunt saw a drastic reduction in incidents and accidents compared to the prior year (9 months with fewer events), and as a result the Harrisburg operation saved approximately $250,000 in total costs (~$830 per driver). Take this case study with you. Ready to start managing fatigue risk? By using Trucking Fatigue Meter along with other safety management methods, a leader at Schneider helped a driver reduce fatigue while keeping his weekly hours up. Learn how James Cox, the Director of Operations at Business Jet Access, is using Fatigue Meter to empower his managers and fly a safer operation. Pulsar Informatics was selected to conduct the study in partnership with Washington State University.